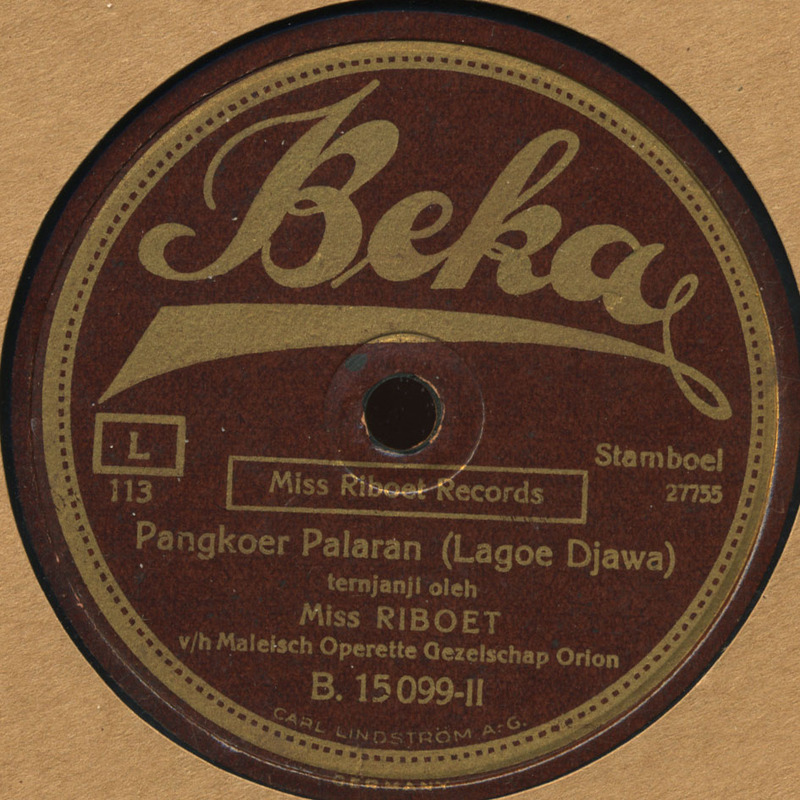 Thanks for uploading the Miss Riboet recording. The picture postcard is actually of Miss Riboet II (with Miss Dja) of Dardanella. Miss Riboet II was a Miss Riboet imitator. Great, thanks for the clarification, I’ve taken down the photo until I can find the REAL Miss Riboet! Thanks for this. Although I’m only a dillettante I’m trying to learn more about Indonesian music. ‘tooneel’ should be spelled ‘toneel’. My reference for “tooneel” was the book mentioned above, Komedie Stamboel, Popular Theater in Colonia Indonesia, 1891-1903. It seems both spellings are used. I was mistaken. In those days the spelling was still ‘tooneel’ with double o. In the present spelling, only ‘toneel’ is allowed.